Bad things never happen to Charlotte. She’s living the life she’s always wanted and about to marry wealthy banker, Dan. But Dan’s been hiding a secret, and the pressure is pushing him over the edge. After he’s arrested for the vicious killing of a nightclub owner, Charlotte’s future is shattered. Then she opens her door to Keisha, an angry and frustrated stranger with a story to tell. Convinced of Dan’s innocence, Charlotte must fight for him – even if it means destroying her perfect life. But what Keisha knows threatens everyone she loves, and puts her own life in danger. DC Matthew Hegarty is riding high on the success of Dan’s arrest. 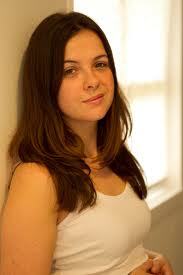 But he’s finding it difficult to ignore his growing doubts as well as the beautiful and vulnerable Charlotte. Can he really risk it all for what’s right? 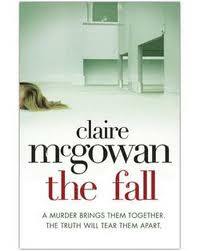 It’s always great to get on at the ground floor when a new crime author enters the party and, with Claire McGowan’s debut ‘the fall’ you have the chance to do just that. There is already a huge buzz about this psychological crime novel with strong comparisons to Rosamund Lipton and Belinda Bauer, to which I would also add Elizabeth Haynes, Julia Crouch and Sophie Hannah. So, the short review would be: Buy it, because this new lady in crime is going to be big. With a plot steaming with racial tension, it’s a timely read, fairly low on graphic on the page violence but packed full of the impact that violence and crime has on real people thrust into difficult circumstances beyond their control. All of the characters, despite a reasonably large cast, are well illustrated to provide the reader with enough to care about each of them – making their reasons for their actions and reactions so frighteningly realistic and, for the most part, understandable. So, get your copy ordered here, and get prepared for ‘the fall’.